Empire magazine spoke with the director about what we could expect from the new installment of the franchise. Here are some pertinent excerpts from that conversation, which shows just how long development can take. Trevorrow notes that he was referring to Isla Nublar in a tweet from MAY OF 2013 and filming just started in the middle of April 2014! EM: What is Jurassic World? EM: In may 2013, you tweeted a photo labeled “Nublar” So we’re back on that island? EM: With the previous sequels, the approach with dinosaurs has been to make each on bigger than the last. What’s you approach? EM: Omar Sy has just joined the cast. Who is he playing? EM: What’s technologically possible for you now that wasn’t for the previous films? Jurassic World is scheduled for release on June 12, 2015 and stars Judy Greer, Chris Pratt, Bryce Dallas Howard, Jake Johnson, BD Wong, Vincent D’Onofrio, and Omar Sy. 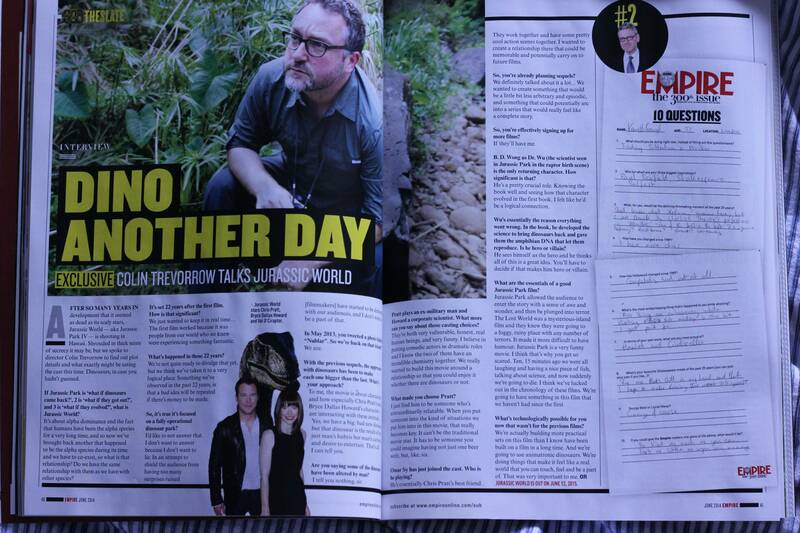 What do you think about Trevorrow’s statements? Does it make you more excited to see the upcoming film? This entry was posted in 1990s, 2000s, Entertainment, Future, Geek, Movies and tagged BD Wong, Bryce Dallas Howard, Chris Pratt, Colin Trevorrow, Dinosaurs, Empire magazine, Jake Johnson, Judy Greer, Jurassic Park, Jurassic World, Omar Sy, relationship, Safety Not Guaranteed, tweet, Vincent D'Onofrio. Bookmark the permalink. FRIDAY FANCAST: WHO IS THANOS? !